There are many things that make Britain great – the Queen, fish and chips and cream teas. But perhaps our greatest thing is the British countryside. It’s great to be able to head out there for a day or weekend, but be aware that driving on country roads requires both skill and concentration. While these roads may be quieter than those in towns and cities, staying safe on them can be a challenge – no matter how experienced a driver you are. 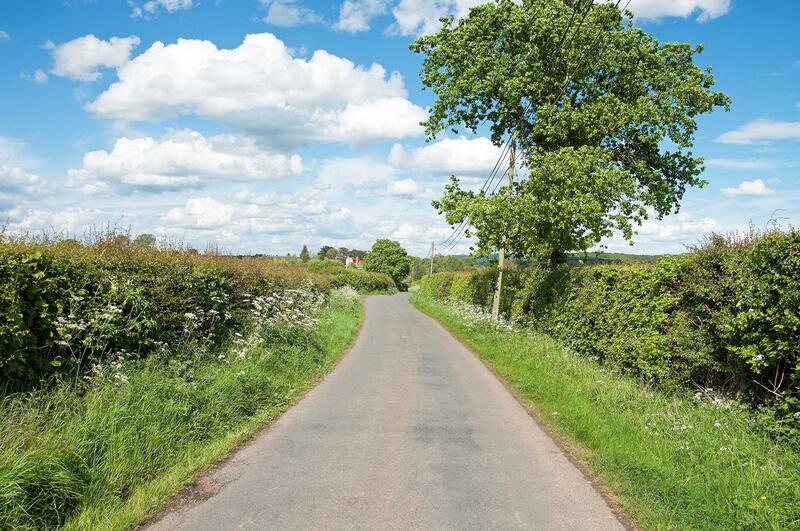 On country roads in particular, it’s important to remember that the speed limit is a maximum – not a target. Just because a lane has a national speed limit doesn’t mean it’s safe to drive down it at 60mph. Tighter bends and narrower lanes require slower speeds. Throw in oncoming traffic, horse riders, cyclists or even stray sheep and there’s a recipe for disaster! While we should all be cautious when using country roads, our stats show that it’s the youngest drivers, with the least experience, who are the most at risk, especially if they speed. 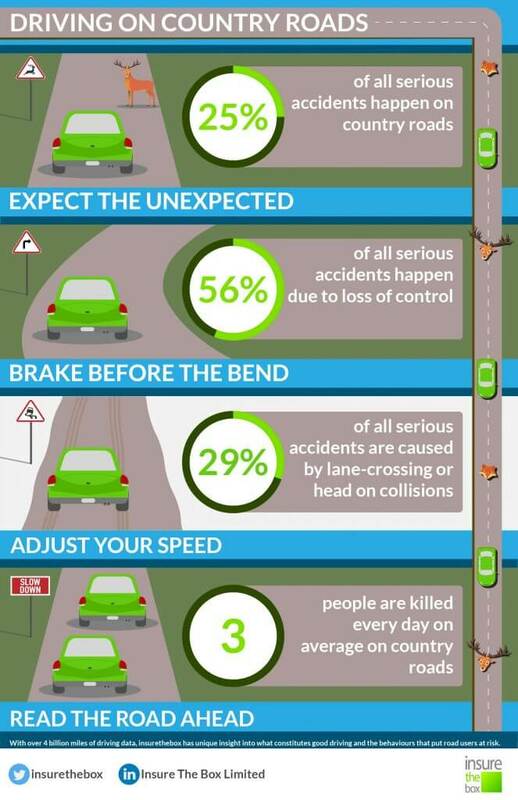 According to our analysis, they’re 30% more likely to have an accident if they speed on country roads. Want some more stats about how dangerous driving in the countryside can be? Sooner rather than later: slowing down before the bend means you’ll have more control going around it, even if it is sharper than you first thought. Expect the unexpected: keep your wits about you – you might not encounter many farm animals on the motorway but they aren’t uncommon on country roads. Patience is a virtue: if you’re behind a slow moving vehicle such as a tractor, just be patient. Don’t take a chance especially if you can’t see the road ahead.